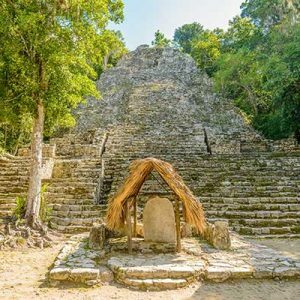 This fantastic Coba tour from Playa del Carmen gives you a unique opportunity to explore these ancient Mayan ruins, and is an experience you’ll never forget. You’ll feel like a real explorer as you peer through the jungle at towering pyramids, and best of all, you can even climb them yourself! 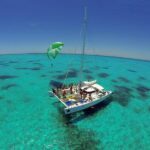 The Coba tour from Playa del Carmen begins at your hotel around 7 a.m., where you’ll be picked up by our fully air-conditioned tour bus. 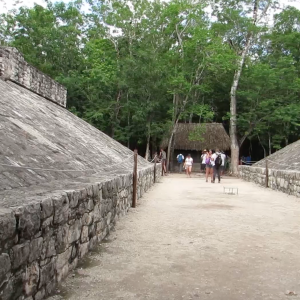 Once we arrive at the Coba ruins, you’ll be given a one-hour tour, where you’ll learn all about the history of this place and the people who called it home. 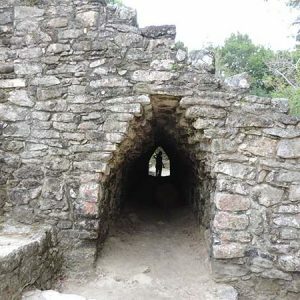 Walk along the ancient sacbe, or “white roads”, which in years gone by were bustling with people, and imagine what life was like in Mayan times. 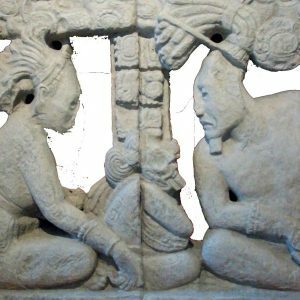 There are traces of these ancient people all around, from the towering temple pyramids to the dozens of carvings which document important events in their history. 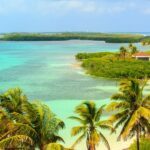 Your expert guide will tell you all about these historic ruins, and give you a unique insight into the rich history of Central America. 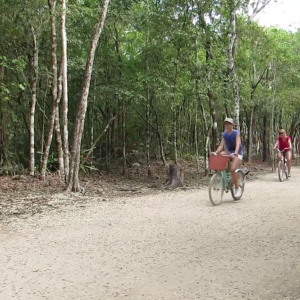 Once the tour is over, you’ll then be given another hour to explore the Coba ruins as you please. 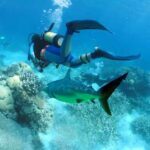 There’s plenty to see, and if you want to stray a little further, there are bike rentals available so you can pack as much as possible into your hour. 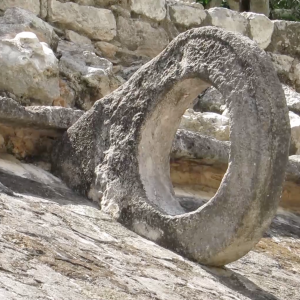 Coba means “waters stirred by the wind” in Mayan, as the settlement is located in between two large lagoons. 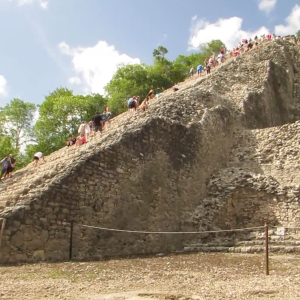 On top of that, the Coba ruins haven’t been as excavated as other, more famous sites, and many of the structures still have trees growing on them. 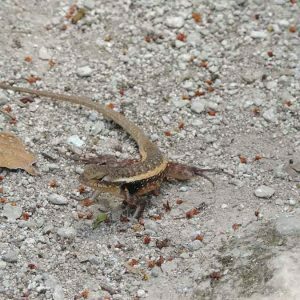 This makes you feel like you’re right in the heart of nature, and means this Coba tour from Playa del Carmen is a great way of seeing some Mexican wildlife up close and personal. If you feel up to the challenge, then you can climb the 42-meter high Ixmoja pyramid. It’s quite a challenge, but so rewarding when you reach the top. 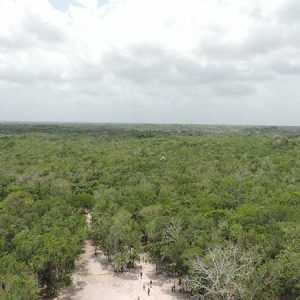 You’ll look out over miles and miles of untouched forests, and see for yourself just why the Mayans built these structures- it’s a truly mystical feeling to stand atop them. Climbing a Mayan pyramid is a rare opportunity, since the authorities have restricted climbing at the more popular ruins. 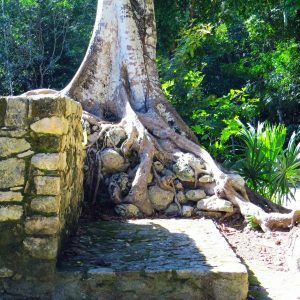 This makes a Coba ruins tour the ideal choice for those who want to get a truly authentic Mayan experience, so make sure you book your place today! Hotel pick up approximately 7:00 – 7:30 a.m., Tour returns between 3:00 – 4:00 p.m.